Vivo X21 UD could be the company’s next smartphone to launch in India. The Chinese mobile maker has sent an invite to launch a new handset in the country on May 29. Earlier this month, Vivo had introduced the X21 UD in international markets, following a launch in China in March. The big highlight of the Vivo X21 UD is its under display fingerprint scanner, meaning there is no physical home button and users simply need to touch a circular on-screen fingerprint prompt to unlock their smartphone. Notably, it is one of the first few smartphones for which Google has released the Android P Betaupdate. 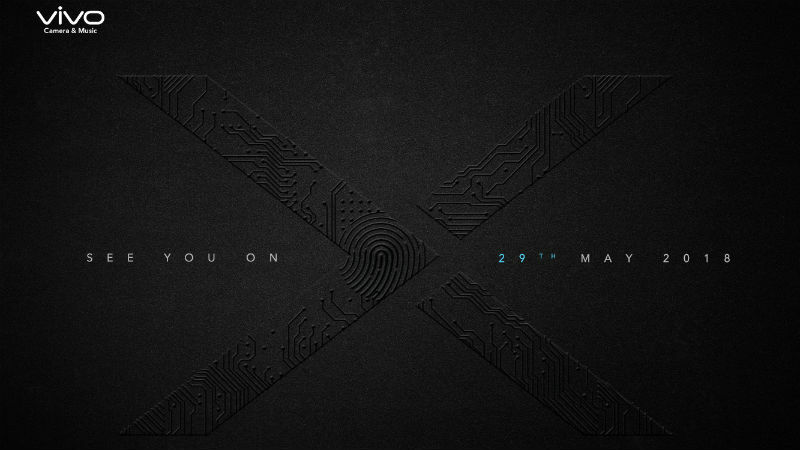 The invite sent by Vivo contains a big ‘X’ that hints at the unveiling of an X-series smartphone in India. The Vivo X21 UD is the company’s second smartphone after the X20 Plus UD to pack an on-screen fingerprint sensor. The Vivo X20 Plus UD was showcased at CES 2018 and then launched in China in January, but it never made it to India. It is possible, though less likely, that Vivo may also launch the X20 Plus UD on May 29, and not the X21 UD. The Vivo X21 UD is a mid-range handset. In terms of pricing, the Vivo X21 UD was priced at CNY 3,598 (roughly Rs. 37,100) in China. At its Singapore launch, the smartphone was priced at SGD 799 (roughly Rs. 39,900). In India, the smartphone will compete with the likes of Honor 10 and OnePlus 6 that will be launching in India in the days to come as well. To recall the specifications, the Vivo X21 UD is a dual-SIM smartphone that runs FunTouch OS 4.0 on top of Android 8.1 Oreo out-of-the-box. The handset sports a 6.28-inch full-HD+ (1080×2280 pixels) Super AMOLED display with a 19:9 aspect ratio. It is powered by a Qualcomm Snapdragon 660 SoC, coupled with an Adreno 512 GPU and 6GB of RAM. In terms of optics, the X21 UD bears a vertical rear dual camera setup with a 12-megapixel primary sensor (f/1.8 aperture) and a 5-megapixel secondary sensor (f/2.4 aperture) with LED flash. On the front is an iPhone X-like notch that houses the 12-megapixel front camera which has features such as a f/2.0 aperture, IR fill light, 3D mapping, and Face Wake facial recognition. It is equipped with 128GB inbuilt storage, expandable via microSD card (up to 256GB). Connectivity options on the Vivo X21 include 4G LTE, dual-band Wi-Fi 802.11ac, Bluetooth 5.0, USB 2.0 with OTG support, and GPS. Sensors on the phone include regular fingerprint sensor/ under display fingerprint sensor, gravity sensor, proximity sensor, ambient light sensor, and gyroscope. There is a 3200mAh battery, with fast charging support, under the hood. Dimensions of the phone are 154.5×74.8×7.4mm and weight is 156.2 grams.